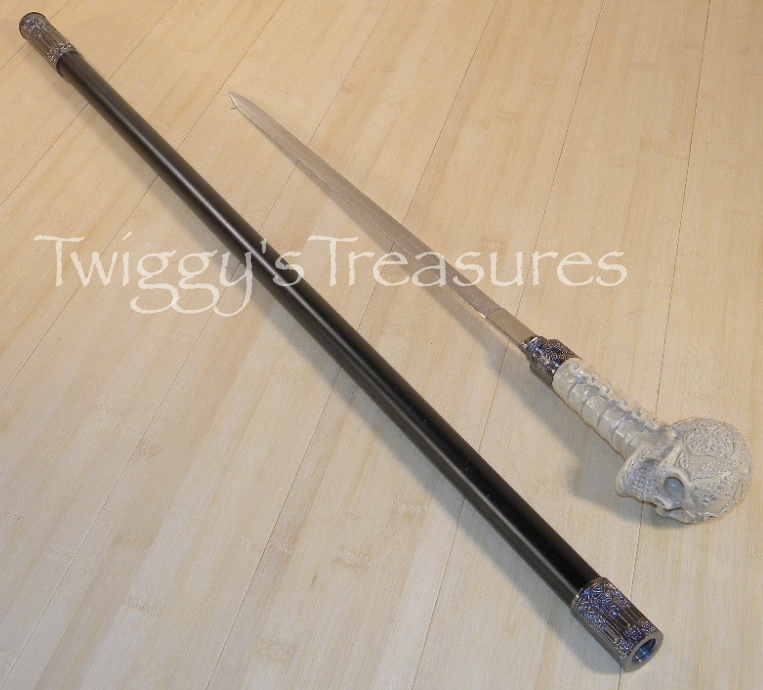 This walking sword cane features a skull of poly resin handle with a metal scabbard and twist on handle. 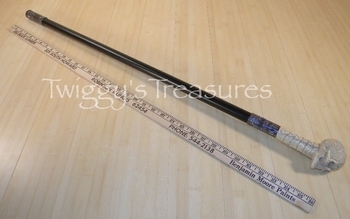 We CANNOT accept Paypal as a form of payment for this particular item. ▪ Overall Length: 36 3/4" Blade and Handle only: 22 3/8"
▪ Blade Length: 16 3/4"